Creating a HTML form is not a hard task. There are a bunch of examples you can find on the internet. What matter more from a HTML form is how you manage the submissions. For the need of managing submissions submitted via your HTML form, you can use a form backend service. Form backend service can be a great solution if you want to provide an online form on your website (contact form, registration form etc), yet have no idea of how you are going to manage the submissions. Of course, you can create a form backend yourself, but it can take time. Especially if you only need to manage submissions from a single form. 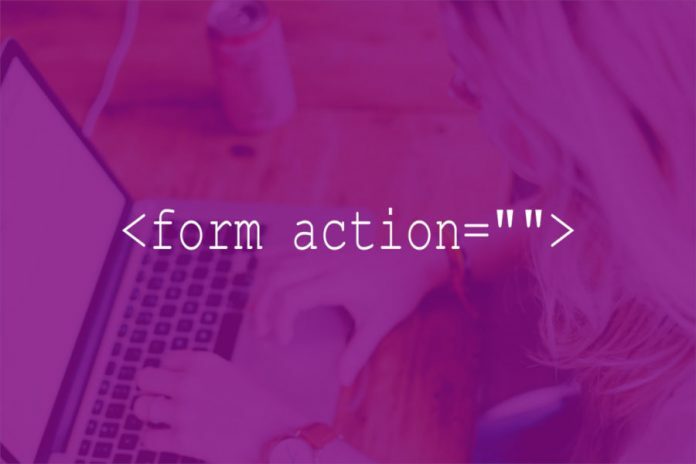 When using a form backend service, all you need to do is place the provided form endpoint to the action attribute on the form tag of your HTML code of your form. Following is the example. Commonly, a form backend service allows you to export the submissions into a CSV file for further processing. Following are some of the best form backend services you can use for your forms. 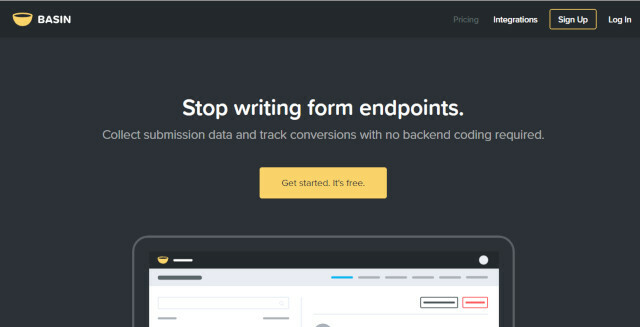 On the top list of form backend services we have Getform. We have reviewed this service in the previous post. You can read it to learn more about this service and how to use it. Getform itself is designed specifically for designers and developers. Of course, whoever you are, you can also use this service to manage the submissions submitted via the form you provide. Getform is a freemium service. Free user is restricted to only one form with the maximum submissions of 100. Getform is developed with a teamwork in mind. You can invite your teammates to help you in managing the submissions. Getform features spam filtering (Akismet) to get rid of the spam submissions. It also allows you to add file upload to your form. Furthermore, Getform allows you to export the submissions into a CSV file for further processing. You can also integrate Getform with services like Google Sheets, Mailchimp and Slack via Zapier. The basic features offered by Formcarry are not much different to Getform. It is also a freemium form backend service with the free account allows you to create only one form with the maximum submission of 100 submissions per month. Unlike Getform, free account of Formcarry is not allowed to add file upload. Formcarry also features a spam filtering to prevent spam submissions from entering your form. You can also export the submissions to services like Google Sheets, Mailchimp, Eventbrite and so on by integrating Formcarry with those services via Zapier. The downside about Formcarry is that your form will be bothered by a Formcarry branding in the notification, unless you upgrade your plan to Growth which costs $40 per month. 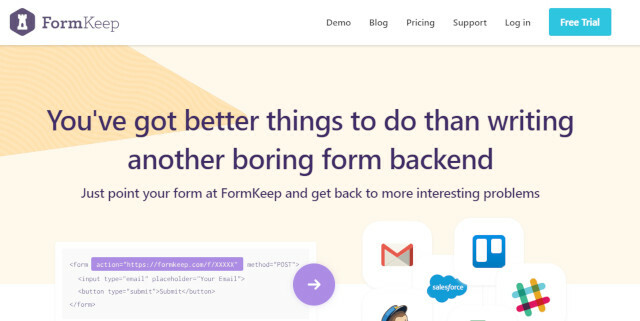 FormKeep is a form backend service designed specifically for web designers, marketing team and customer specialists. Unlike two first services above, FormKeep doesn’t offer free plan, but you will still be able to give this service a try without spending a dime since it offers trial version. Compared to two tools above, FormKeep tends to more expensive. The cheapest plan of this service — which costs $4.99 per month — only allows you to create one form. FormKeep also allows to download the submissions into a CSV file for further processing. In addition, this service also supports integrations via Zapier. You can integrate FormKeep with popular services like Mailchimp, Google Sheets, Slack, Salesforce and so on. Just like this service says, you don’t need to create a whole form backend if you only need to handle submissions from a single form. There a bunch of form backend services you can use for your form. FieldGoal is one of which. You just need to prepare your form as sleek as possible. The rest, you can use FieldGoal to manage the submissions. FieldGoal itself is a premium form backend service that does’t offer a free plan. If you are interested to this service, you have a chance you try it for free since FieldGoal offers free trial. All plans offered by FieldGoal allows you to store unlimited submissions. FieldGoal also supports integrations via Zapier. Basin is a great option if you are looking for a form backend to manage submissions from your static site. Basin is a freemium form backend. The free version of this service allows you to accept unlimited submissions. Basic can be a great option if you are running a static website and want to collect submissions via a form (i.e. registration website). Basin also supports integrations via Zapier and you can also export the submissions into a CSV file for further processing. Its name told it all. FormBackend is a form backend service that you can use to manage submissions submitted via a HTML form you created. The way this service works is not different to five services above. It will also provide a unique form endpoint (URL endpoint) which you can place to the action attribute on the form tag of your HTML code. FormBackend itself is a premium form backend. There is no free plan offered by this service. You can make use of the 7-day trial period offered by this service to figure out if the features offered by this service suit your need. FormBackend also allows you to export the submissions into a CSV file for further processing. Or, you can also transfer the submissions to services like Trello and Slack since this service also supports integrations with those services via Zapier.